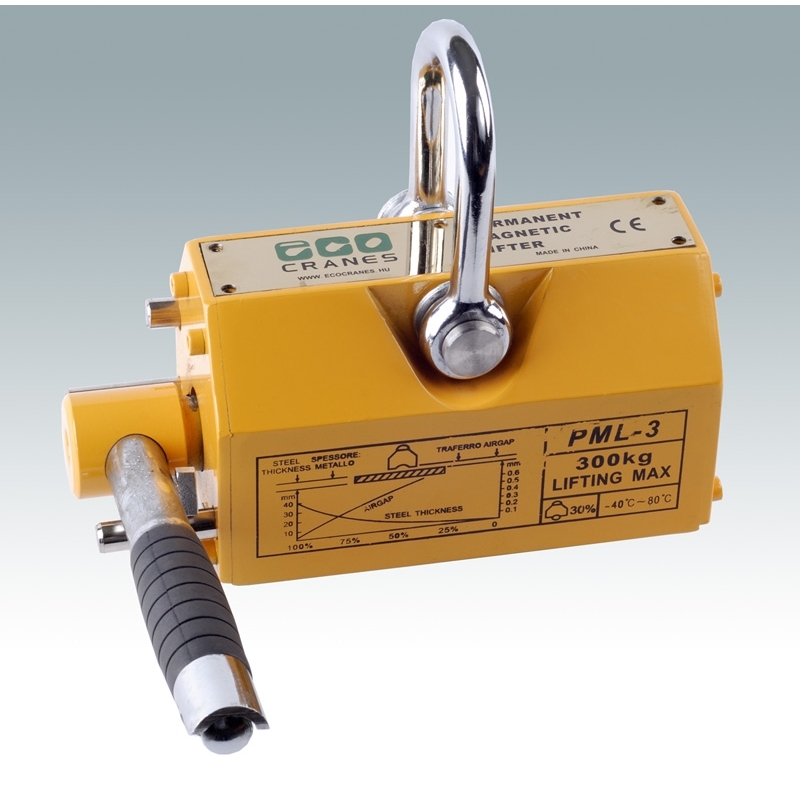 ECO permanent lifting magnets are high-performance ferromagnetic systems made of Nd-Fe-B permanent magnetised material. By moving the lever the magnetic force of the ferromagnetic system is changed, the housing absorbs it and releases the item. On the top of the lifting magnet there is a steel ring for lifting the lifting magnet and together with it the objects, furthermore a V-shaped groove at the bottom, for holding the cylindrical objects. Permanent magnets operate without electric power supply. Due to a defined setup of permanent magnets the magnetic force fields close on the poles of the lifter and on the load, or through the covering of the lifter by eliminating the magnetism of the poles. In "ON" position the magnetic force fields are transmitted through the load. The magnet at this time is active. In "OFF" position the lifter's pole surfaces are neutral and therefore the lifting magnet is off. 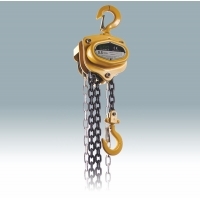 The load lifter magnet consists of individually standardised spare parts. The inner part of the magnet contains the actual magnetic system, which consists of a direction changer magnetic system, a magnetic fixture and magnetic poles.